A permanent national tribute commemorating the late Sheikh Zayed bin Sultan Al Nahyan, is set to welcome the public from April 22. 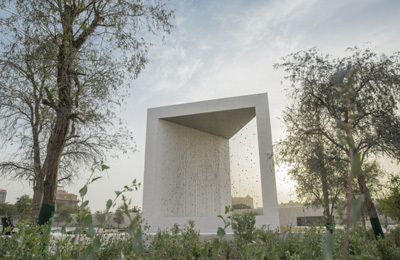 The Founder’s Memorial, situated on the Abu Dhabi Corniche, presents a range of personal encounters with Sheikh Zayed as a man and a leader, enabling visitors to gain a deeper understanding of his values. The memorial is free to access and will be open daily from 9am to 10pm. The centrepiece of the space is The Constellation, a monumental artwork designed by public artist Ralph Helmick which offers a dynamic three-dimensional portrait of Sheikh Zayed.